It’s been unseasonably warm this winter in DC. It’s March and it’s gorgeous outside! And that means… time to clean the deck! Are you excited? Me too! As soon as I have somethign to show, I will post pictures. In the mean time, take a look at some of these inspirational garden photos below. 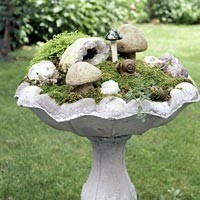 Or, check out more of my inspiration and ideas for the garden on My Pinterest page!